THE QUEEN’S BATON WILL ARRIVE IN THE GLADSTONE REGION ON SATURDAY 24 MARCH 2018 AND WILL TRAVEL THROUGH MIRIAM VALE, GLADSTONE, SEVENTEEN SEVENTY AND AGNES WATER. 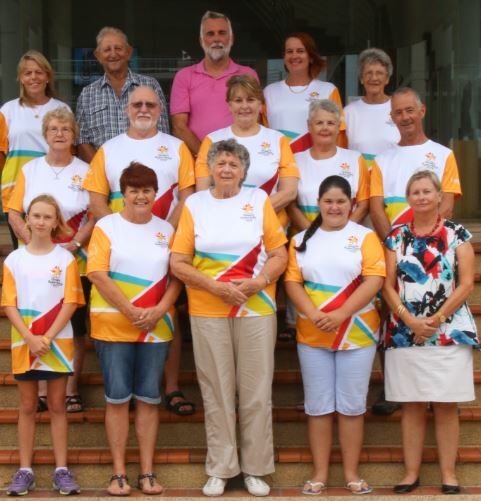 Other baton bearers representing the Gladstone Region are Maxine Brushe, Ian Anderson, Allan Davis, Neale Inskip, Betty Mergard, Chris Palfrey, Mia Poustie, Jonathan Easton, Tracy Hopkins, Debbie Knust, Laura Koefler, Jenny McLeod, Dianne Morris, Donald Morris, Bob Moschioni, Deanne Lawson, Pamela Cawthray, Pauline Dahl, Larry Halbert, Lyn Harms and Jamie Hartwig. 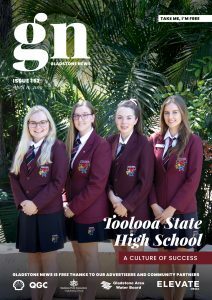 Cr Burnett said the Queen’s Baton Relay was a unique opportunity to recognise and celebrated the achievements of the wonderful people who make the Gladstone region great. “It’s one of the most exciting events in the lead up to the Games and a chance for our community to be part of a special Commonwealth Games tradition,” he said. Collectively, across the country, baton bearers will take more than a million steps to bring the baton to its destination, the Games’ Opening Ceremony on 4 April 2018.